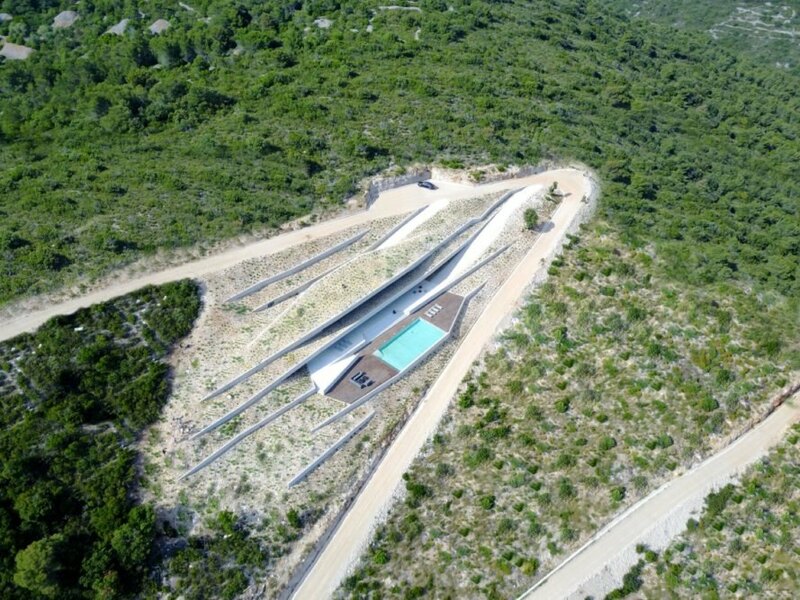 Zagreb-based architectural office PROARH completed Issa Megaron, a family retreat in Croatia that’s disguised inside a rocky hillside with a zigzagging road. 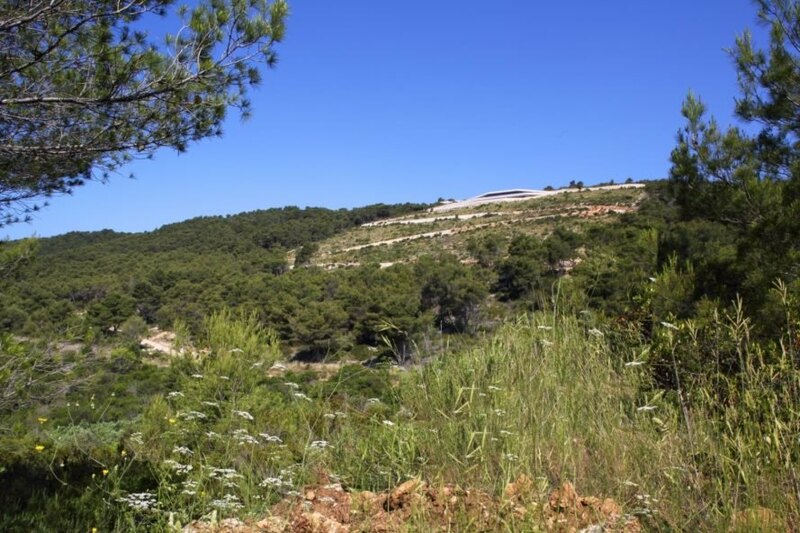 Due to its remote location and lack of surrounding infrastructure, the modern home operates off the grid by necessity and includes self-sustaining technologies from rainwater collection tanks to solar photovoltaic panels. 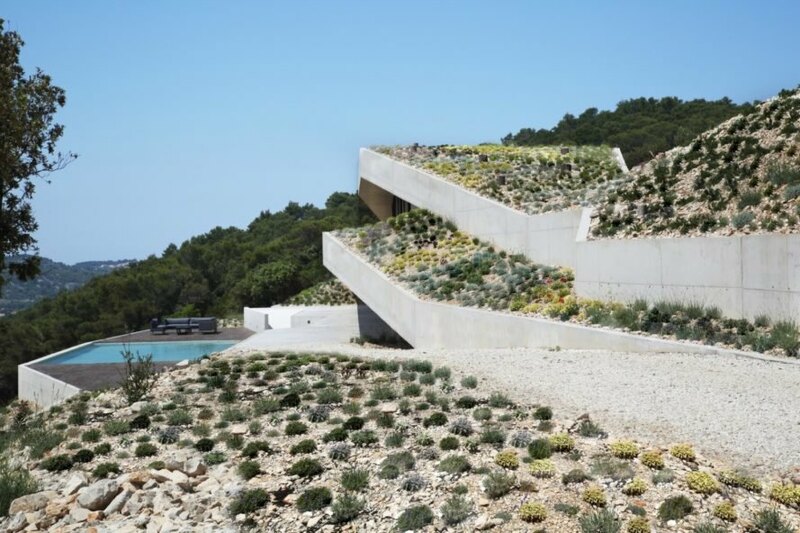 Going off grid, however, hasn’t compromised the architect’s pursuit of luxurious living, made evident by the contemporary interior design, large pool and spacious footprint of 420 square meters. Completed in 2016, Issa Megaron began with the conceptual combination of a cave, a megaron (a great hall in ancient Greek palaces) and stone dry walls. “The house is envisioned as a dug in volume, a residential pocket between the stretches of space forming walls, an artificial grotto, a memory of a primitive shelter,” explained the architects, who split the house into two floors. The upper floor contains six bedrooms and bathrooms organized around a central living room and book-ended by two offices. 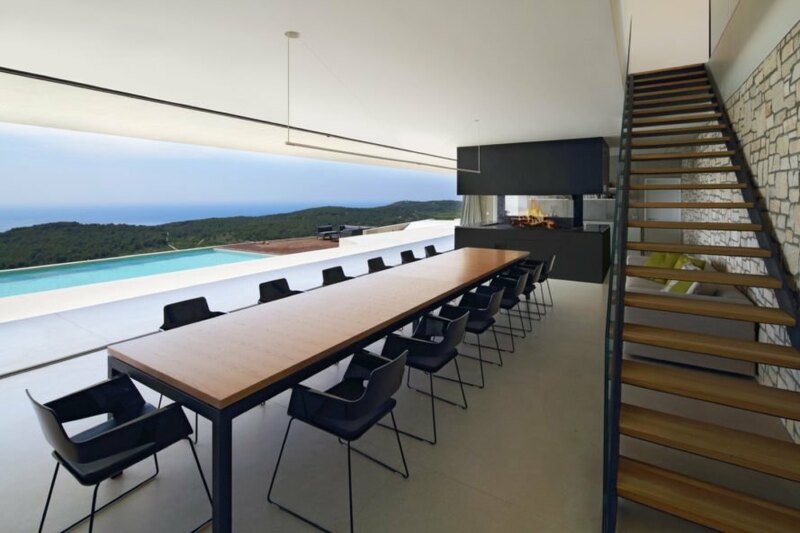 The master bedroom and bath, the open-plan dining room, lounge and kitchen, the game room, the gym and storage are located on the lower floor, which opens up to the pool and outdoor terrace. In addition to green roofs and solar panels, the house minimizes its energy footprint by following passive solar design principles that promote natural cooling. A concentrating solar power system is used for heating, while harvested rainwater is filtered and reused in the house and for the pool. Thanks to its rocky green roof, this modern home blends in to the landscape. The house is a family retreat in Croatia. The home combines green design and luxury living. The retreat operates completely off the grid. Inside, glazed walls offer views of the surroundings. 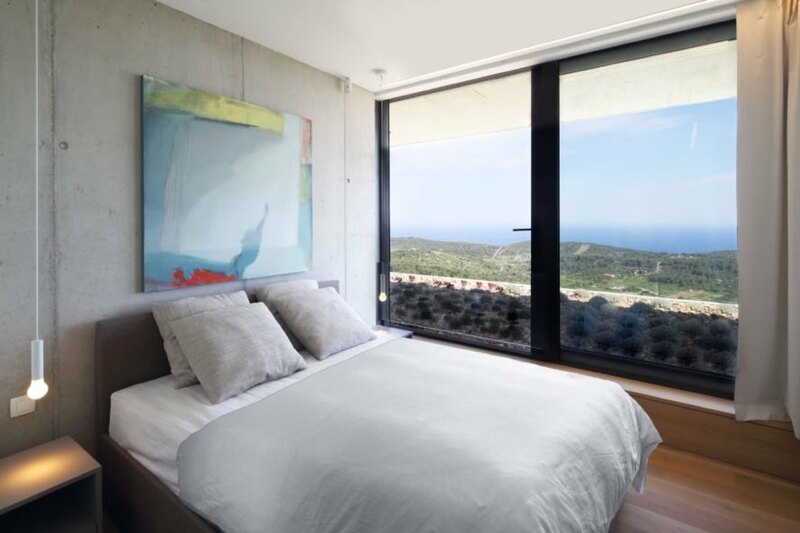 The vistas are breathtaking from every room. 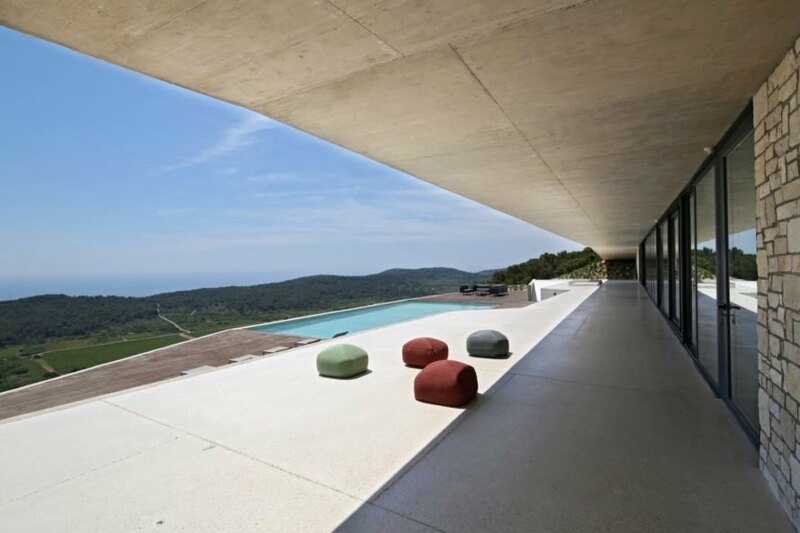 Harvested rainwater is filtered and then reused for both the home and the pool. The house is meant to disappear into the environment. The retreat is inspired by caves and ancient Greek palaces. Solar panels provide clean energy to the home. Passive solar design improves energy-efficiency.